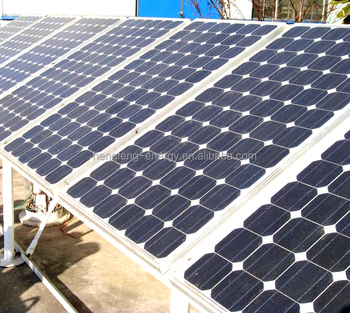 This system contains HF-5KW wind turbine body,1.5 KW solar panels, wind and solar hybrid controller, inverter, guy wire tower, battery, solar panel, bracket, cables and other necessary accessories. This system is usually used at the small signal tower and residents in clear monsoon climate. Note: If the local wind resource is fairly good, it can increase the battery capacity according to load condition. The tower can be made according to the customer’s request. We match the 9 meters guy wire tower or free stand tower. Can supply power for: Refrigerators, Water pumps (1000w), Color TV sets, Washing machines, Lighting, Electric fans, Charge.